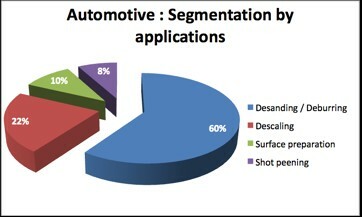 The road transportation market represents 25% of the worldwide abrasives market. Steel abrasives play a key role in the production processes of many automotive components. Environmental care, favouring environment-friendly and resource-efficient processes. With the creation of dedicated products, equipment and services, W Abrasives offers solutions for each market segment of the road transportation market, whether for foundry parts or forged parts.